Don’t be intimidated by this unappetising looking powder. It is tasty, versatile and, as the name suggests, it’s really good for you. 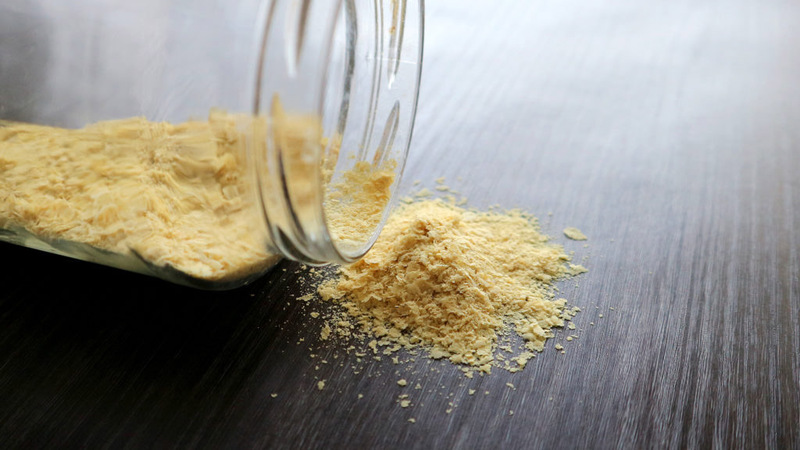 Although it has the word ‘yeast’ in the name it is inactive and is different to Bakers yeast. Also, don’t get it confused with similar-looking Brewers yeast powder which is bitter tasting and contains gluten. Let’s be honest the name is off-putting, there are a few more kicking about; savoury yeast flakes, nooch, hippie dust, yeshi and Cheeto dust, apparently. All terrible. My friend calls it Nutty Beast, I can work with this. Umami (savoury). Cheese is the predominant flavour, it also tastes nutty, creamy and slightly salty. 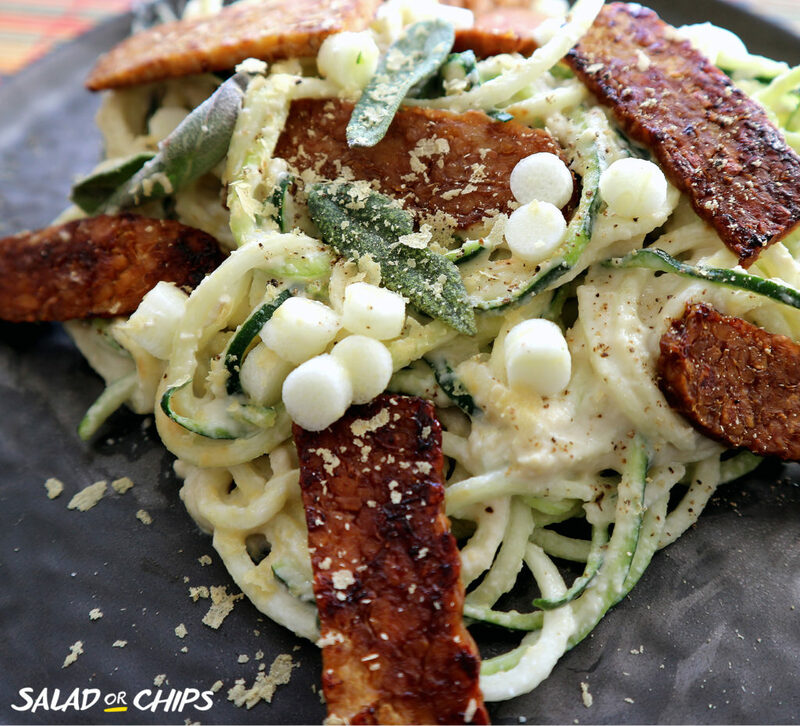 Vegan ‘carbonara’ served with sage and tempeh. The sauce is made from cashew nuts, nutritional yeast, plant milk, garlic, salt and pepper. Phosphorous is second to calcium when it comes to maintaining healthy bones and teeth. It also aids digestion and helps keep the kidneys healthy. 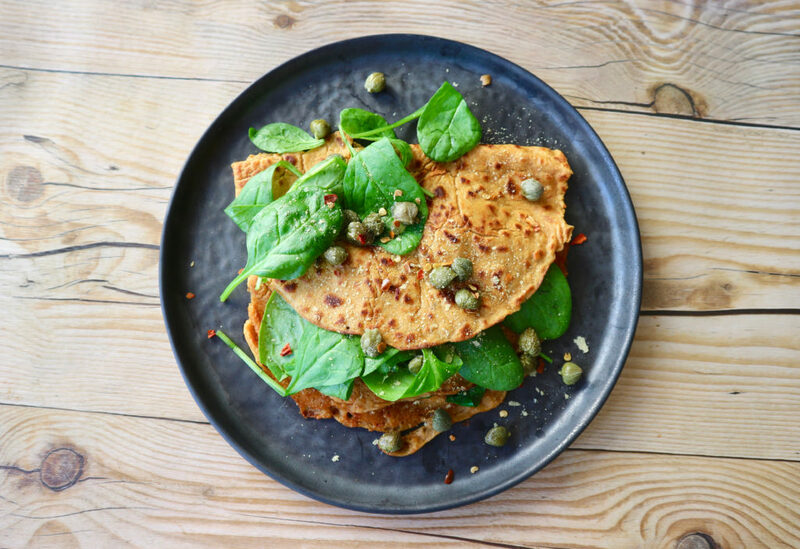 “It’s a complete protein, which means it has all nine essential amino acids that our bodies can’t alone produce.” (4) Protein is essential for building and repairing tissues. Our muscles, organs, and immune systems are made up mostly of protein. 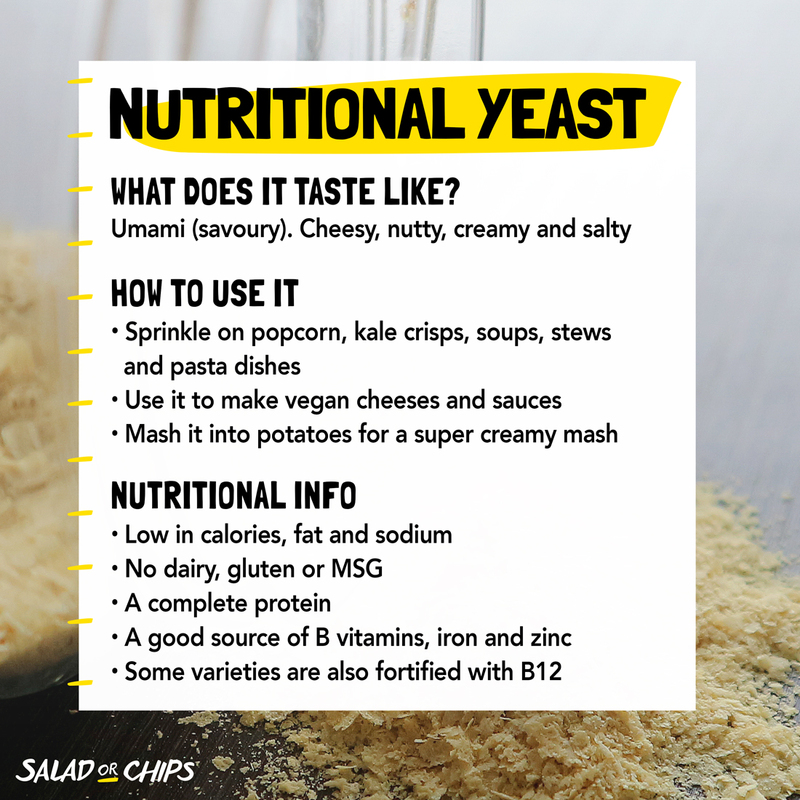 Nutritional yeast is the result of a sugar-eating fungus called Saccharomyces Cerevisiae (more dazzling names) which “is grown on sugar cane or sugar beet molasses”… “After growing the yeast, it is completely pasteurised and deactivated so it is quite safe and won’t give rise to yeast overgrowth in someone who eats it.” Michael Donaldson, PhD (3). Ancient Egyptians were known to use yeast. In more recent history it is considered one of the earliest forms of supplementation. Brewers yeast was used during the Spanish Civil War (1937-38) to combat a Niacin (Vitamin B3) deficiency. 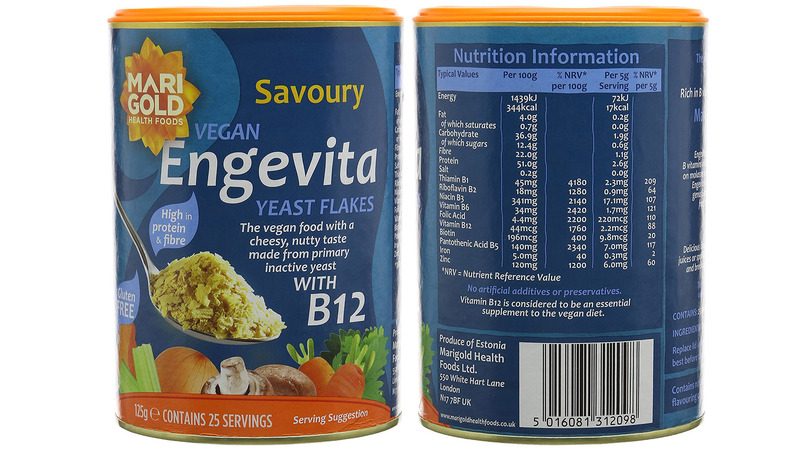 I use the brand Engevita and buy locally from independent supermarket HISBE in Brighton. You can also find it in most health food shops, Wholefoods, Holland & Barratt. You can buy it online at Ocado or if you can’t find any locally there is always Amazon.